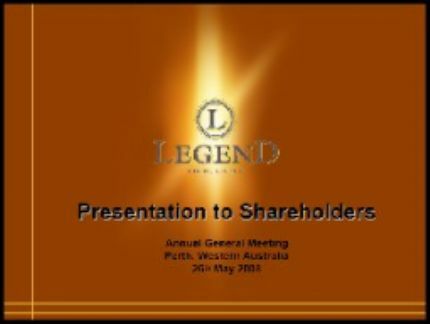 Perth, April 28, 2009 (ABN Newswire) - AUDIO: Legend Mining Limited (ASX:LEG)(PINK:LGDMF) In keeping with our previous announcements, exploration activity has been scaled back to suit market conditions. The continuing Heritage Agreement negotiations at the Pilbara project has effectively precluded any meaningful field work this quarter. East Coast Minerals NL however, has been active on the Joint Venture tenements. A technical report from Predictive Discovery has improved the understanding of the structural and lithological controls at Mt Gibson and a second stage of the report has been commissioned and is underway. We are hopeful that the outcome of this work will identify potential new ore sources and therefore drill targets. Cash at end of quarter has increased to A$5,017,000. Income from rents, interest and dividend receipts exceeded the total administrative and project expenditure. As disclosed to the ASX on 16 April, total cash and liquid assets amounted to $A18.5M which equates to 1.54 cents per share. We continue to review potential new projects and have observed a definite improvement in the range and quality of projects on offer. In assessing projects, management are using the same diligence and investment criteria that has been applied to our treasury operations. Legend Mining Limited ("Legend") is an Australian mining and exploration company listed on the Australian Stock Exchange. Legend's mission is to make high-impact mineral discoveries and to maximise shareholder benefit from those discoveries. 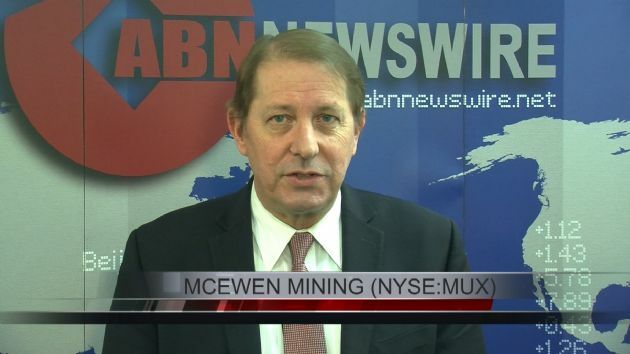 The company is focused on creating shareholder value through the discovery of base metal and precious metal deposits at its three main project areas in Western Australia. Legend Mining Limited ("Legend") is an Australian mining and exploration company listed on the Australian Stock Exchange. Legend's mission is to make high-impact mineral discoveries and to maximise shareholder benefit from those discoveries. The company’s exploration focus is on the discovery of iron ore, base metal and precious metal deposits at its project areas in Western Australia (Pilbara, Mt Gibson and Gum Creek) and Cameroon, West Africa.